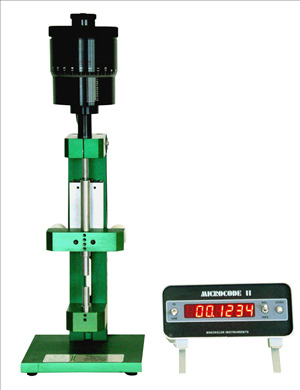 ±0.19 microns (±7.5 microinches) over any 0.12 mm (0.00475 inch) range. Meets ASTM E83 Class B-1 for a 6 mm gauge length and greater extensometers and ISO 9513 Class 0,5 over the full measuring range of the calibrator. Includes ISO 17025 accredited NPL (UK) traceable calibration certificate for the full calibrator stand. *Note: ISO527 requires 1 micron accuracy extensometer. Calibrator resolution should be better by at least a factor of two.